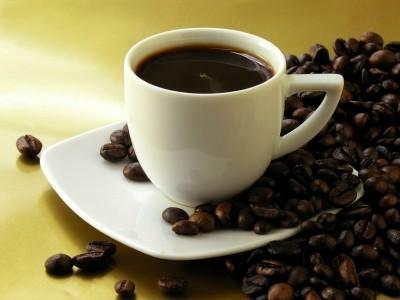 Many Paleoleos drink coffee. Black. With spices. Cream. Milk. Many drink tea with or without caffeine. Many do not. It's your decision. I drink both tea and coffee, switching out depending on what I'm in the mood for. Cold turkey IMO is best. If you happen to have a cold that is an awesome time as you already feel crummy and the withdrawal is not as noticeable. Or you could score and not really have any problems. Good luck! I gave it up last April and it was hard but survivable. :-)) When cool weather came I went back to enjoying a mug or two but I usually have my water kefir first, which reassures me I'm not so addicted any more. I like the kefir so much I'm getting rather indifferent about the coffee and may stop again next summer to see how I feel in the fall. In moderation, I think it's generally considered fine, it's certainly still widely consumed in the paleo community! But any addiction that you don't know you can walk away from is 'harmful' in my opinion. I'd say go cold turkey, make sure you stay fed and take pain-killers for the headaches or get a lot of sleep. And then use it as a stimulant on occasion for increased performance. You don't need it every day, and it's not very effective either. If it's not a great time for you, there's no rush, but ultimately the answer is going to come from your own experience. I drank 1-2 cups a day for many years, and didn't give up coffee until I gave up nightshades (coffee isn't technically a member of the nightshade family, but it's family Rubiacaeae can have some of the same alkaloid-induced pain/immune issues that come from Solanaceae). I still drink tea. I think that, if you're not having issues with it for some other reason, there's no particular reason to have to give it up. I've given up Diet Coke more times than I'd like to admit. And while the caffeine load may be different (I averaged between a quart and a half-gallon a day at my worst), what I found helped was to go mostly cold turkey except for about 25 mg of caffeine for 3 or 4 days after going off. That seemed to have prevented the massive caffeine withdrawal headache the last time I gave it up. And then giving up the 25mg is not so hard at all. Re coffee in general, it has its plusses and its minuses. I never drank it, but I don't think a cup or two is an issue. I would say give it up cold turkey. But don't do that without some sort of help for instance licorice will temporarily stop the breakdown of cortisol into cortisone and will give the adrenal glands a break. In fact it is nourishment for most of the endocrine system. Taking Lugols iodine will also help the thyroid and other glands of the endocrine system as iodine is found in the greatest concentration here. Look for other adaptogens, however be wary that they are high phyto-esrogens, licorice not so much, so depending on your stance and whether you can handle them, they would be helpful. I personally feel great once I take something like licorice or ashwagandha but the next day I feel fatigues to hell. The caffeine has likely stimulated your endocrine system (especially adrenals) to some sort of point where it would cause cravings, even one coffee for some people is addictive. This involves the fact that caffeine stimulates a few of the adrenal hormones a.k.a cortisol and other hormones like dopamine. That great feeling you get when you drink caffeine (depending on whether it makes you feel crud or great!) is the hormone surge. Go cold turkey and support yourself with supplements. Maybe try valerian or chamomile if you feel anxious, they genuinely help the nervous system to relax. Oh and don't forget decaf coffee still contains stimulants, i.e. theobromine (so does decaf tea) so best avoiding them to get you on the path to no caffeine. It is a nice treat though, thats the way I see it. Establish a no caffeine life and then indulge once in a while. p.s tea such as the common tea and red bush (rooibos) is a big source of fluoride, depending on the soil of course. Isn't it interesting, how conversations about caffeine/coffee ("Is it good or bad?") invariably seem to invoke the emotions associated with religion? Maybe because for some, coffee is a sacrament. Me included. Reach for my coffee, lose your hand. I never drank coffee, but made it to 30 on Mt Dew... switching to Diet after that. When I went paleo ~3 months ago, I went cold turkey off caffeine and replace with the all-natural LifeShotz full of vitamins and antioxidants. Although somewhat expensive, at 1 per day it's cheaper than my Diet Mt. Dew habit. Feeling pretty good, but not very scientific in terms of assessing merit. Should probably try going without a few days? For me coffee is no good. I love the thought of a comforting warm delicious cup of coffee, but the after effects are totaly not worth it. Increased cortisol, increased hunger, hypoglycemia, sugar cravings. For some the extra stimulation is harmful, if you have no negative side effects, then go for it. I do recommend yerba mate tea as a alternative the crash is so minimal, hardly noticible, and the energy is uplifting and clean.